Hanging his army uniform in the year 2003, he started on an unchartered journey in the aviation sector. 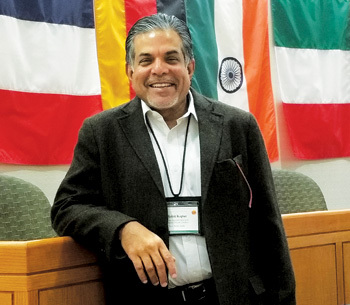 After learning the ropes and honing his skills with various aviation key companies, in 2009, Rohit was ready to don the entrepreneurial hat and Arrow Aircraft came to life. 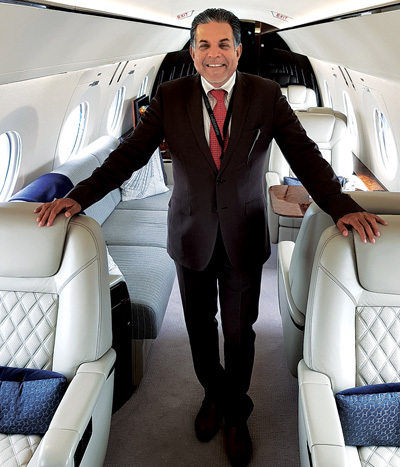 He is the founder President and third time elected President of Business Aircraft Operators Association (BAOA) and is also a member of Civil Aviation Committee of FICCI and CII. The current team at MoCA is a very pro-active team. I have never seen the Civil Aviation Ministry as responsive and approachable as I have seen in this regime. Ask for a meeting and you will get one, plus they will listen to you. However, even though they are giving attention to Business and General Aviation, the industry still needs more efforts to bring it up to global standards and needs the same focus as they are giving to the scheduled airlines and to UDAN. Ministry of Finance needs to understand that they have to make aviation a more viable industry. This is a very capital intensive industry, and subject to a lot of uncertainties, be it the fluctuations in dollar rate, price of crude, infrastructure issues, and many more. Financial viability is a must. The whole process of aircraft leasing is carried out from overseas. Why can’t we set up an aircraft leasing company in India? Around six billion dollars go out of India for leasing cost. The same money can be retained in India by making it more tax efficient. If the government support MROs and start reducing taxes on it, around 2-3 billion dollars which go out will remain in the country and it will create additional jobs. The Ministry needs to understand this larger picture, which seems to be lacking at the moment. Twenty percent growth is fantastic, but that’s not our whole objective. Growth must happen with financial viability of the stake holders, only then will it be sustainable. We have approximately 500 commercial aircraft in India and I hear some 900 plus aircraft are on order, but with the way all airlines are under pressure for profitability, worry is that will they have the money to get these aircraft that they have ordered? The government has to make sure that this industry can stand on its own feet. Concession needs to be given and tax breaks need to offered. They must understand that this is an industry which is creating so much of an ecosystem in terms of adding to the GDP and creating jobs. For every job created in the aviation industry, there are six jobs created in supporting industry. The government needs to change the way it thinks about the general aviation and business aviation industry. They are still talking about this industry as something that only rich people use. Yes, business leaders do use it, as do the politicians. The main motive of both is to use its flexibility and save time, which is the primary purpose of flying in a private aircraft. If their companies grow, the economy grows. It is not the luxury that they are using, it is a business tool. When you have companies all across the country and half of them are not even properly connected, the business leaders need to travel comfortably, in privacy and safely. 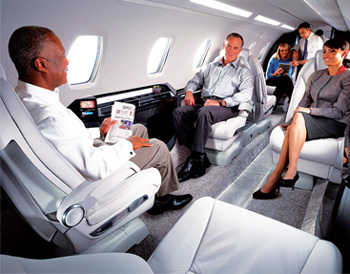 A business aircraft allows all this, which ultimately transforms into productivity. A 28 percent GST with no input tax credit is a definite impediment and as a result, nobody wants to buy an aircraft in the private category. I am an aircraft salesperson and I am getting a very clear message from potential buyers that they are not willing to pay 28 per cent GST. If need be, they will go ahead and buy the aircraft overseas from one of their subsidiaries, which is an absolutely legal option. If the asset is not coming in the country then the jobs are not being created here. In short, we are giving employment opportunities to foreign pilots and spending dollars as against adding these to our economy. Most countries have zero-rated tax on import of aircraft. There are many countries that do charge a tax, but at most places, it is 5 per cent or 7 per cent or a maximum of 10 per cent. I have not seen any country which imposes 28 per cent plus 3 percent, amounting to a 31 percent tax, with no input credits. It is killing this market. I strongly recommend that we should impose a tax that is fair and reasonable, which people are willing to pay, and which encourages growth. The reforms are long overdue. The regulator needs to be more efficient, it needs to be more professional. Unless you appoint people with proper experience, background, and knowledge; unless you empower them with correct kind of tools to do their work, they will not be able to do the optimum. DGCA needs to be modernized and it needs to have more professionals working in it. It needs to adopt technology and reduce people to people interaction to the minimum. Here we are talking about growth and being the third largest aviation market by 2025, but the pillar on which you are trying to make this happen is weak. Unless you modernize and empower DGCA, it will not be able to support the growth that we all want. Arrow was conceptualised in 2009, when three of us from the industry, that is myself, Shailendra and Samir, decided to establish a company focused on the needs of the private aviation. Our initial goal was to be a Sales and charter company. In 2011 we got the dealership for Gulfstream and after some time we got the dealership for Beechcraft. We were selling aircraft and as our charter business grew, we also became an aircraft management company. 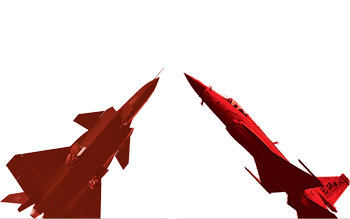 Jet Aviation became a partner in 2013. 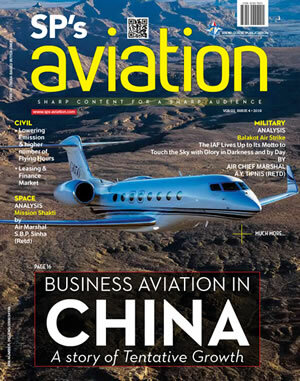 We signed up with HondaJet as their partners in South Asia earlier this year. We are focused as a dedicated sales, charter and management company. All our businesses are unique, and we provide a holistic solution to our clients. From the time a client thinks of flying in a private aircraft, and till the time she is actually flying in one, we walk her through the entire journey. Our Motto “GIVNG WINGS TO YOUR SUCCESS” truly defines our ethos as a company. Personally, I would say that it’s been a very enjoyable and an exhilarating journey for me at Arrow. Creating a world class product is very satisfying. We are a strong company in terms of revenue. We have been profitable from the first year onward, we have never had a year where we have not made a profit. In this environment to stay afloat and be profitable is an achievement by itself. We do have certain plans for expansion to the next level in the coming years. We are working on various plans and are willing to change with the evolving times. Today we have got about 45 employees, with offices in Delhi, Calcutta, Bombay, Chennai. We have also setup a subsidiary in Dubai last year. Most people who buy helicopters are the ones who need to fly from or to places which do not have landing strips. If there is a choice ever, I would always advise a person to buy a fixed wing rather than a helicopter, even though I have been a helicopter pilot myself. The simple reason is that you have more flexibility in terms of operating under all weather, and in using it day and night. If you decide at midnight to go from Bombay to Pune, in a helicopter you will not be able to do so, but in a fixed wing you can go anytime and in all weather conditions. In 2010, some of us industry professionals thought of setting up an organization which could be the common voice for the entire industry. A few of these associations were already in existence, but were weak and working at cross purposes. It was decided to close down the existing associations and form a new one, hence BAOA was incorporated in March 2011. 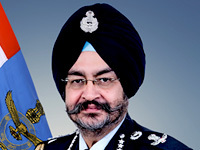 I must give credit to some of the founder Members, who worked overtime in 2010-2011 to make this happen, with special mention to Capt Karan Singh (Indo Pacific), Col. Madan Thadani (JEPL), Sudhir Nayak (RCDL), Harsh Vardhan (Himalaya Heli) and Col. Sanjeev Sethi (Raymond). Without their support then, and over the years, BAOA would not have come into existence or survived so well. The initial election was to be held in three months, and I was elected as the interim President with an aim to oversee a free and fair election. That was the mandate given to me. Within three months we held the election and I got elected as the first President. We hired Group Captain R.K. Bali in December 2011 as the Managing Director of BAOA, and he has been the main driving force for the Association since then. When I became the founder President, I had two things in my mind. Firstly, I wanted to make sure that this became a professional organization and no single person or organization should be able to dictate its agenda in times to come. Secondly, it was imperative to me that the Association should be an independent and vibrant body, run democratically, with inputs and views of all members being important to us. It was also essential to make the Association financially independent as soon as possible. We have achieved some success in this, but still some work needs to be done here. It is a matter of pride for all of us today that BAOA is recognized as the voice of the industry by all major stakeholders, be it the Ministry of Civil Aviation, DGCA, industry bodies, such as FICCI, CII, Assocham etc., or by the industry itself. Our membership consists of all the leading operators in the country, service providers and OEMs. We have achieved a fair amount of success in our work and hope to get more done in the coming years. In the end, I would like to say that I am grateful for all the opportunities that have come my way. Very rarely do people have the chance to get the best of both worlds. I truly enjoyed my service in uniform and loved flying helicopters in the Army. At the age of 41, and with 20 years of uniformed service, I set out on a different career path. Achievements came with a lot of hard work, struggles, support of friends and family. Giving up was never an option. I believe that the biggest factor in achieving anything you believe in is hard work and perseverance. The rest will fall into place.